Dirt Bag Paddlers presents mARTch! 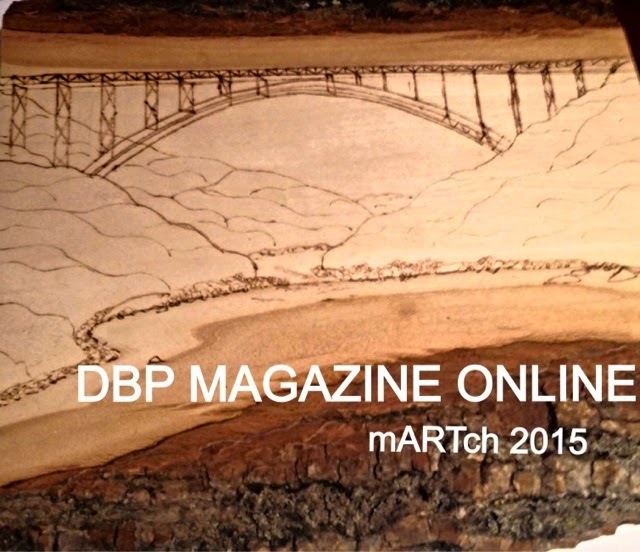 Whitewater Wood Art, and International Rivers | DBP MAGAZINE ONLINE The World's Best Free Whitewater Publication. We welcome the month of March with a new cover featuring a wood carving of The New River Gorge Bridge, an iconic steel arch bridge 3,030 feet (924 m) long over the New River Gorge near Fayetteville, WV. It is a familiar sight to many dirtbag paddlers that greets us as we approach the takeout to the Lower New River. The art is by Mika Kobs of Whitewater Wood Art. We chose her to help us get mARTch, our month-long endeavor to highlight the various art forms (painting, drawing, woodwork, poetry, music, photography, and more) and how they help us convey our love of paddling and The River, off the ground! 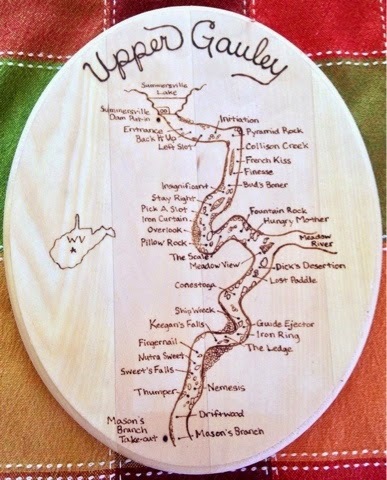 Mika specializes in highly detailed river maps that show the various rapids, a dirtbag favorite. “Originally from Cincinnati, I moved to West Virginia after I became addicted to paddling. A year of living in West Virginia let me experience lots of wonderful whitewater and meet some amazing paddlers. 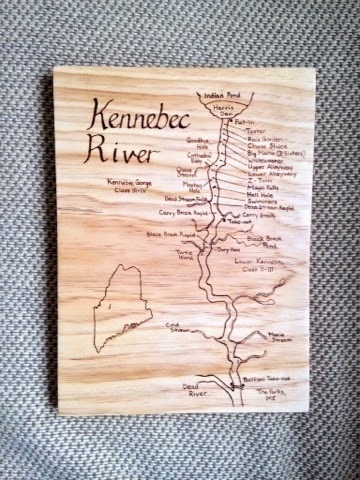 I’m currently wintering in New Jersey, but I plan on moving back to West Virginia or another good whitewater state in the spring.” She so far has worked on maps of rivers close to home, but is beginning to branch out, like this one of the Kennebec River in Maine. Our big reason to try and connect dirtbags with art and with the River is to help draw connections between us and those who don’t understand our passion, as well as us and the folks working to protect free-flowing clean rivers around the world. Along this vein, DBP MAGAZINE ONLINE got in touch with International Rivers, and offered up a plan which was readily accepted. We are running a contest for the first 10 days of the month, collecting artwork from any category entered, which we will award prizes of stickers for. These will be used in some capacity by International Rivers to hype the Day of Action, Saturday March 14, a day of raising awareness and digging in and DOING SOMETHING to help keep our rivers healthy and free! What better way to truly celebrate mARTch? Fun fact in honor of International Rivers theme: “My first time ever paddling whitewater,” Mika tells us, “was rafting el Río Atuel near San Rafael de Mendoza, Argentina.” Lucky duck!! So get your art together and submit it by posting directly to the Dirt Bag Paddlers Facebook page! All entries will be forwarded to International Rivers. And get ready for some great articles this month about various artists like Mika, Hannah from the Gnar Fairies, and our Spotlight feature on legendary paddle maker Keith Backlund… AND MORE! Cheers!! Based in four continents, our staff has expertise in big dams, energy and water policy, climate change, and international financial institutions. We support partner organizations and dam-affected people by providing advice, training and technical assistance, and advocating on their behalf with governments, banks, companies and international agencies. The focus of our work is in Latin America, Asia and Africa. Cool work Mika! 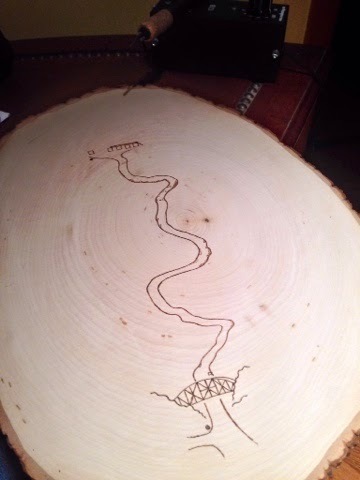 I love wood, i love rivers, i love this!